Katelyn and Jake are one of those couples that have an infectious love for one another. 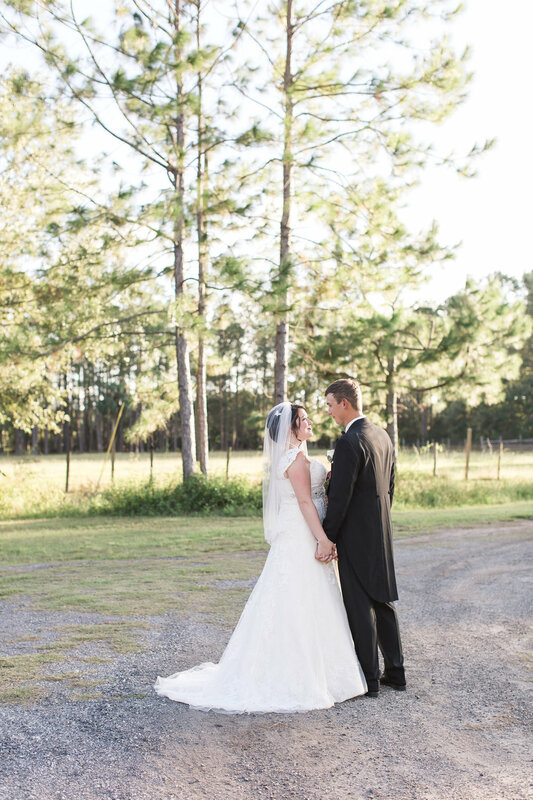 I loved being able to capture their wedding day surrounded by their friends and family at the gorgeous Crown Events Barn in New Smyrna Beach. One of my favorite moments from their day was the tears the both shed reading their sweet letters that each wrote to each other before the ceremony, there was not a dry eye. The bride and groom both love Alice and Wonderland and Harry Potter, respectively, and used many whimsical details to portray these books throughout the day. I adored Katelyn's wedding gown with the most gorgeous touch of lace sleeves. To see more of their wedding day take a peek for yourself! The wedding day of Sue and Rob can best be summed by the first sentence of the Apache Wedding Blessing that was read during their ceremony. "Now you will feel no rain, for each of you will be shelter for the other." Their day was full of showers but their love persevered and the sun shone through the freshly rained on trees and ground - it was perfect. There is something special about right after it rains, the smells are sweeter and the saturations brighter and I know that Sue and Rob will never take for granted those little showered on moments.